Get 12% off your entire first order at Rude Wines with our exclusive promo code. Click on the ´Get Code´ button, and copy the discount code. Visit the Rude Wines website. Find a drink you´d want to buy, and click on the ´Add to Basket´ button next to it. You can continue shopping or go to checkout. If you choose to continue shopping and wish to review your basket, click on the shopping basket icon in the upper right corner. Below your items, you´ll see an empty field where you should enter a promo code. Paste your discount code there and click ´Submit´. Click on the ´Proceed to Checkout´ button below. Enter your personal information and register a new account. Enter your billing and shipping information, and choose a shipping method. Review your order and click on the ´Place Order´ button below. You´ll be redirected to SagePay to complete a payment process. Choose a payment method, and enter all the required information. Rude Wines was founded in 2013 by two wine enthusiasts, Deborah and Tony. They wanted to share their knowledge and passion for wine, and inspire the world to opt for the best possible wine at the best possible price. They source a wide range of world-class wines from all over the world. 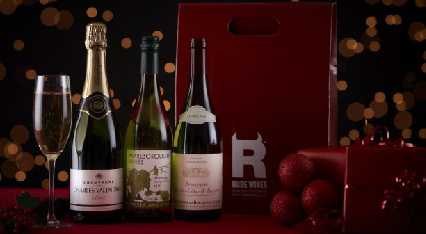 With Rude Wines, you can choose from one of their mixed cases or you can create your own bespoke case. This discount excludes introductory cases.